Peter is currently featured in the online magazine Tablet. Read the full article here. The Boat That Carries Us was released on July 15th. Recorded with music legends Jim Keltner and Lee Sklar, with help from guitarist David Steele and keyboardist Will Gramling. Recorded with music legends, Jim Keltner and Lee Sklar with help from guitarist David Steele and keyboardist Will Gramling. "This week I'm honored to announce that I'll be traveling to Breckenridge, Colorado to work with families from the Wounded Warrior Project. This is an amazing organization dedicated to assisting American heroes." I'll be accompanied by Big Muse team members Kristin Mooney and her talented husband Eric Heywood. We're hoping to help facilitate change and healing through songwriting." 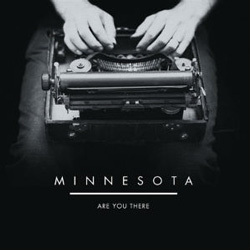 Order Minnesota: Are You There from iTunes. Minnesota is Peter's new project, his first collaborative effort in over 25 years featuring some of the state's best musicians, from BoDeans drummer Noah Levy to Johnny Lang�s current bassist, Jimmy Anton, along with vocals from Kristin Mooney and Claire Holley. A number of musicians contributed to the album, but Peter's principal artistic partner on Minnesota's debut album Are You There is filmmaker David Hollander, the man behind the hit TV series "The Guardian." Together, the two helped turn Are You There, into an organic record rooted in folk, Americana understated pop/rock. 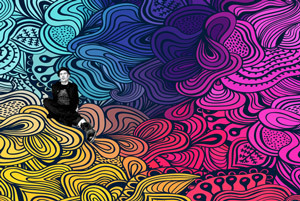 Peter has launched Big Muse. The Big Muse Seminar is designed to free your business team to feel the power of their creative process. Motivate them to deliver their best ideas boldly - all within the boundaries of your business requirements and deadlines. Check out bigmuse.com for details. Please become a member of Peter's Fan Page on Facebook. 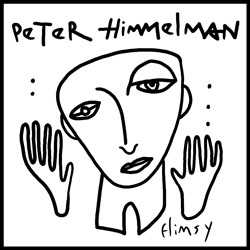 Our store now features digital versions of Peter's music, including new releases Flimsy, a collection of music/spoken word pieces, and Songs To Make Boring Days Fun, featuring the best of Peter's music for children. The Furious World blog here. Peter was recently featured in the Wall Street Journal and NPR's All Things Considered. The Mystery And The Hum is available now on vinyl and CD. To hear samples of My Trampoline, go here. Purchase My Trampoline, from our store, iTunes, or Amazon.com. exploring his career as a musician and artist on the Thinking Out Loud talkcast series from nicefishfilms.com. Check it out in our store and find out how to purchase a customized piece of Peter's artwork for yourself. Interesting article on Peter now appearing on rockinboston.com. Check out five new short films from Peter on our video page: "Why Flowers Are So Pretty", "What is Water", "Cars", "All This Fuss About Hair", and "The Smartest Animal in the World". Congratulations to the winners of our cover song and story contest! 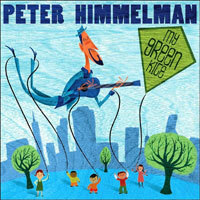 Peter and his album "My Green Kite" were nominated for a Grammy® award in the category of Best Musical Album For Children. The contenders for the 50th annual awards ceremony were announced in Los Angeles on December 6th. 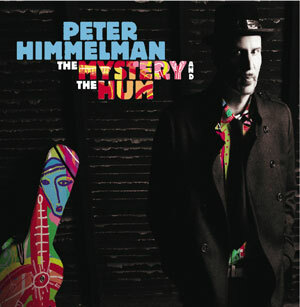 Peter�s new Himmelvaults 7 CD! 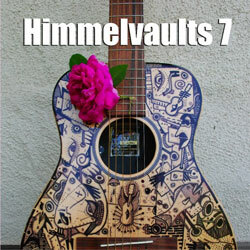 Peter's newest Himmelvaults release is now available in our store. Peter made a guest appearance on the "Media Whores" show on KLSX 97.1 in Los Angeles Sunday, September 2nd. The show was archived on a podcast at 971freefm.com. Peter makes an appearance on "Rabbit Bites"
New Kids' CD Now Released! L. A. Times story on Peter and "My Green Kite"
"A disarming family music album that delights in the simple joys of childhood and teaches good life lessons, from a guy who's clearly been there and done that." 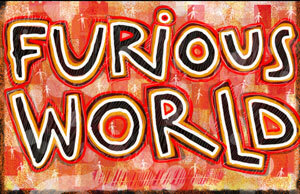 clever lyrics and themes combined with catchy, upbeat music." "Amusing and hilarious lyrics accompany these catchy tunes." "A genre-spanning hoot, full of tunes that luxuriate in everyday details." "In this kids' collection, he combines his rocker cool voice with a great sense of humor and sings about all the little details that kids like to think about -- like red rubber boots in the rain, the properties of an egg and mom's awesome dinner-making skills� everyone was snapping and singing along." Peter Himmelman raises the bar for all children's music artists with My Green Kite - this is children's music at its best and represents the level of children's music that our kids should be hearing. "The eclectic pop tunes will have playtime rocking in a snap." This is a fantastic album, chock-full of great tunes and production, with lyrics that sometimes speak directly to kids' daily lives and other times fire their imaginations. It'll make you smile and make you think. ... on my short list of favorite albums for 2007. Highly recommended. "The hip factor is high on this cool disk�sounds like laid-back cross between They Might Be Giants and Randy Newman, but this songwriting is refreshingly original." "Quirky, pop-influenced tunes geared for kids ages 3 and up." "Himmelman earns his place among his contemporaries in the field." "This is a singer-songwriter's singer-songwriter with his eye clearly fixed on what kids are all about ... an excellent aural companion to the everyday activities of simply enjoying your kids." "This childlike celebration of innocence and wonder appeals to a range of ages, sparked with a wit that will make this a fun CD for the entire family." "The tracks feel almost like performance art�. Himmelman's sense of fun is contagious, and parents may find themselves enjoying My Green Kite as much as their youngsters. It's almost like being a kid again." "Himmelman's new album really rocks with his theatrical flair for making the stuff kids care about -- and adults take for granted -- groovy and cool." "I enjoyed the material so much that I forgot it was intended for children. Everything about it works just wonderfully. This should garner a Grammy for "Best Children's Recording." Very highly recommended." "One listen to the title track of this (too short) 39-minute disc and you know there's something special going on. Himmelman is no slouch when it comes to crafting powerful pop tunes, having forged a good living from straddling both adult and family listening bands. 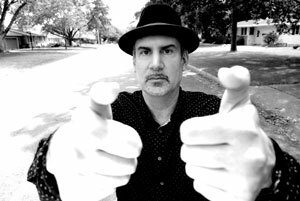 Some 15 releases ago (this is his third bona fide kids' release), Himmelman embarked on a critically-acclaimed solo career, earning him comparisons to Dylan, Elvis Costello and John Hiatt, yet he has clearly carved out his own niche - one that merges energy with creativity, blending nonsensical fun with heart-warming emotion. My Green Kite kicks off with a somewhat silly ode to one's feet, fully orchestrated and developed, transforming it into a mini-opus, complete with back-up vocals and rich arrangement. 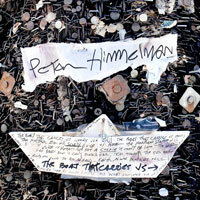 Then there's the pure pop of the title track - classic Himmelman: hummable, addictive, purely positive. Or the story of Morris the Mule ("Another Bite of Hay") - a reflection on the meaning of life. The evils of vague parental responses to kids' questions is epitomized in the soulful "Maybe is a Bad Word", piano-driven in typical Himmelflourish, those back-up singers adding substantially to the overall import of his message. Consider the lovely sentiment of "My Father's An Accountant" - a son's hero worship for the 'common Dad' - a legitimate tear-jerker, if there ever was one (Himmelman's "Father's Day" - his first solo recording, was an emotionally-charged tribute to his Dad, who died of lymphoma). 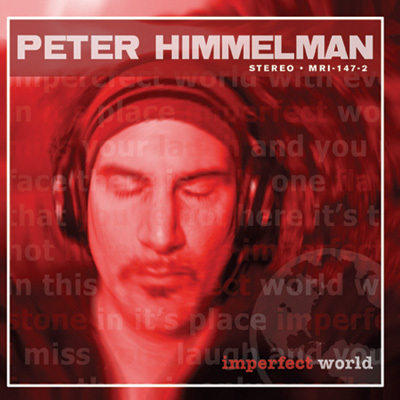 This provides a glimpse into Himmelman's very personal and poetic world - his approach to kids' music is no less so than his approach at the adult level. At the same time, he knows to keep things upbeat and lively for the short set. His "A Dozen Roses" is a hilarious, how-to on the joys of young love while "Have You Ever Really Looked At An Egg?" zeroes in on another aspect of a kid's world - the discovery of everyday things, set to a seriously rocking beat (he knows that kids appreciate real music to pap). Entertainment is his game, his message always imbedded in an appetizing way. Whether praising his Mom and her cooking, passing along inventive baseball tips, or professing the pride of owning red rubber boots, this is a singer-songwriter's singer-songwriter with his eye clearly fixed on what kids are all about. The added bonus is his exceptional vocals and piano-based compositions, which make for an excellent aural companion to the everyday activities of simply enjoying your kids. You can't ask for more than that from anybody." 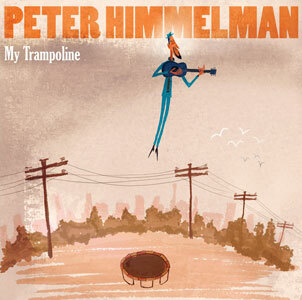 "Peter Himmelman raises the bar for all children's music artists with My Green Kite - this is children's music at its best and represents the level of children's music that our kids should be hearing. Listen carefully and you will hear true musical artistry! 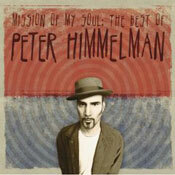 In a overly saturated and increasingly promoted market full of kindie rock artists, Peter Himmelman has soared above the crowd with an extraordinary recording that is worthy of everyone's attention. Kids will squeal with delight and parents will wonder why there is not more great music out there like My Green Kite." 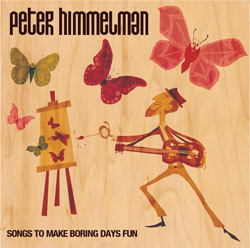 Peter Himmelman has a rubbery voice, a vivid imagination, an ear for quirky pop songs that sounds ripe for the picking by some brilliant kids' comedy troupe, and a complete lack of self-consciousness--a combination you don't often find in kids' performers, even the most successful ones. My Green Kite follows the just-for-the-fun-of-it formula of previous discs like My Fabulous Plum and My Best Friend is a Salamander--here's Himmelman contemplating how confounding a word "maybe" can be ("Maybe Is a Bad Word"), examining the under-appreciated qualities of an egg ("Have You Ever Really Looked at an Egg") and, in a half-poignant, half-hilarious number, deeply regretting his embarrassment over his dad's painfully boring occupation ("My Father's an Accountant"). The word for these songs is screwball--there's a certain loose genius lurking below the surface. As the soundtrack to a Sunday-afternoon Lego marathon, they're pretty near perfect. Peter is scoring his second season of FOX's hit show, Bones. He is also scoring the ABC show, Men In Trees, starring Anne Heche. Coming soon – Rock G-d – A road epic about the pursuit of an adolescent dream into adult reality. Imperfect World - Available now! 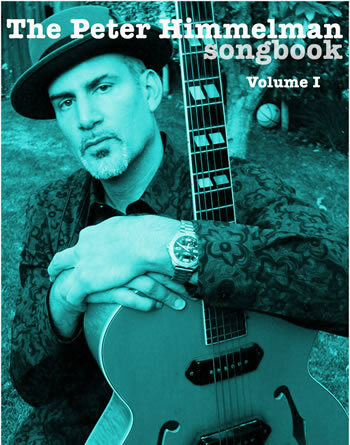 To check out a preview of the new CD and to hear music samples, click on the album cover above. Tower Records, Amazon & BestBuy. Anybody ready for some Lemonade?